Hi everyone! It’s Britni from Play. Party. 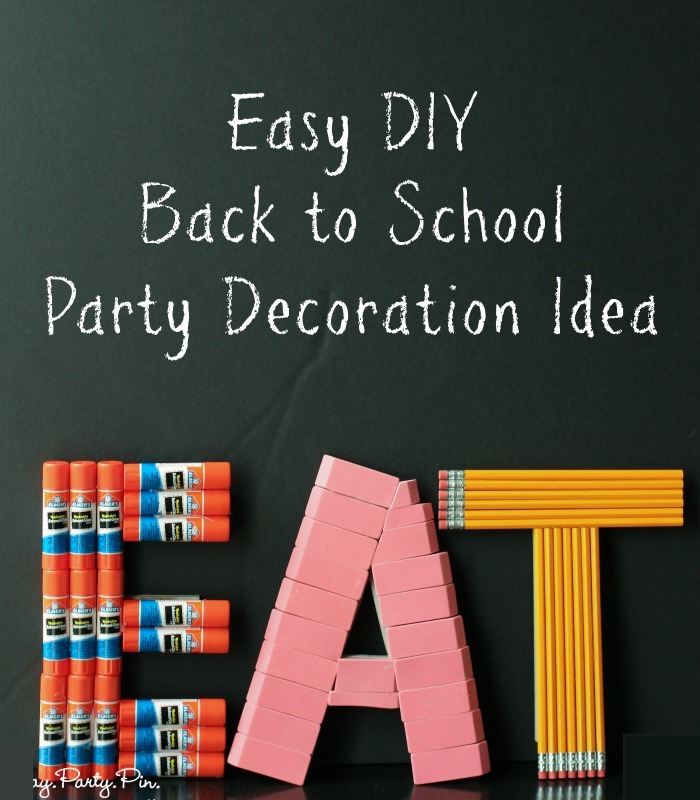 Pin., again and today I’m back sharing an easy DIY back to school party decoration ideas. It’s perfect for right now when school supplies are on sale everywhere. One of my favorite ways to decorate for a party is with letters that have been designed to match the party theme. 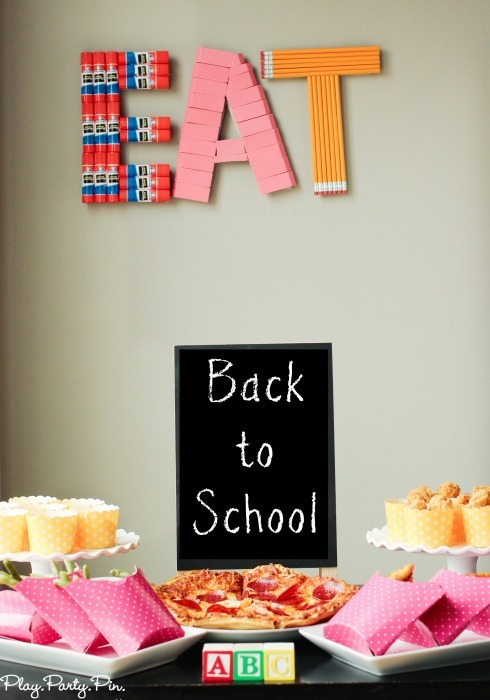 I’ll show you how I made these back to school letters, and you can use the idea for back to school or any other party you’re hosting in the future. All you’ll need are some letters, school supplies, and a hot glue gun. I used thick chipboard letters, but you could easily use wood letters as well. I specifically decided to use pencils, erasers, and glue sticks because they fit the size of my letters well. 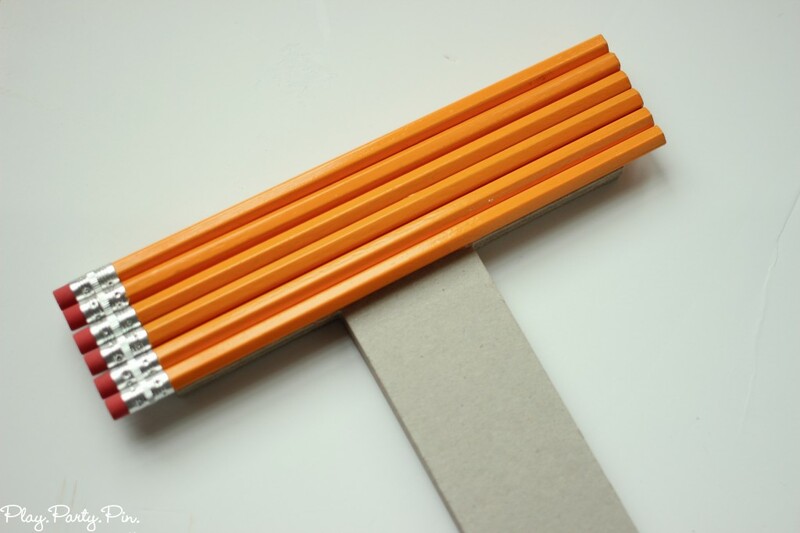 If you have extra school supplies at home that you want to use for this project, you can always just make the supplies fit the letters you have by going over the edges of the letters or cutting the school supplies to fit in the case of the erasers. 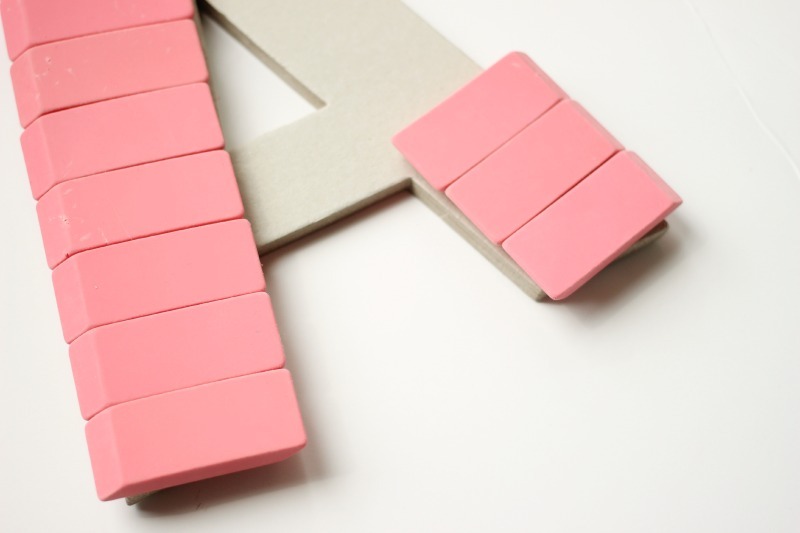 After you’ve gathered your supplies, the first thing you’ll want to do is lay out the school supplies on top of your letter so that you can make sure they fit like you want them to before you start gluing. 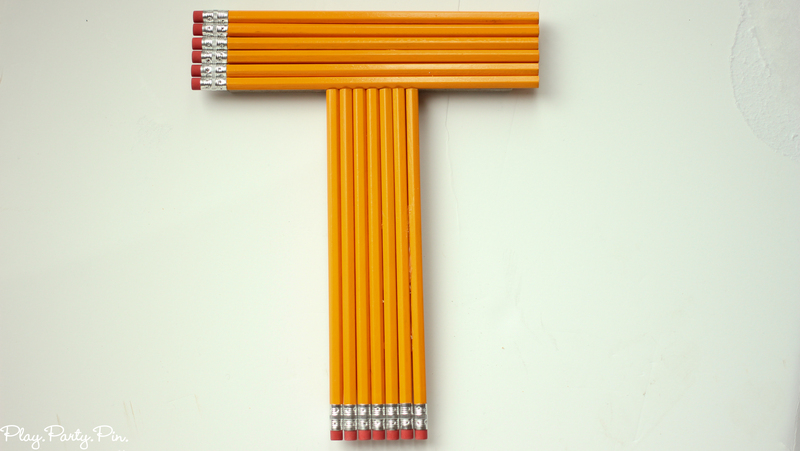 Since you’ll be covering the letters completely, you can go off the edges of the letters slightly with the school supplies if they don’t fit perfectly. 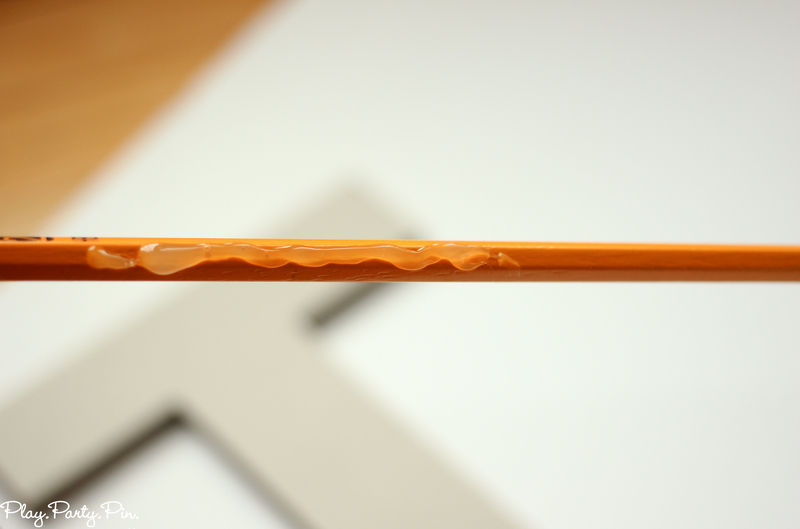 I did that with both the pencils and glue sticks. 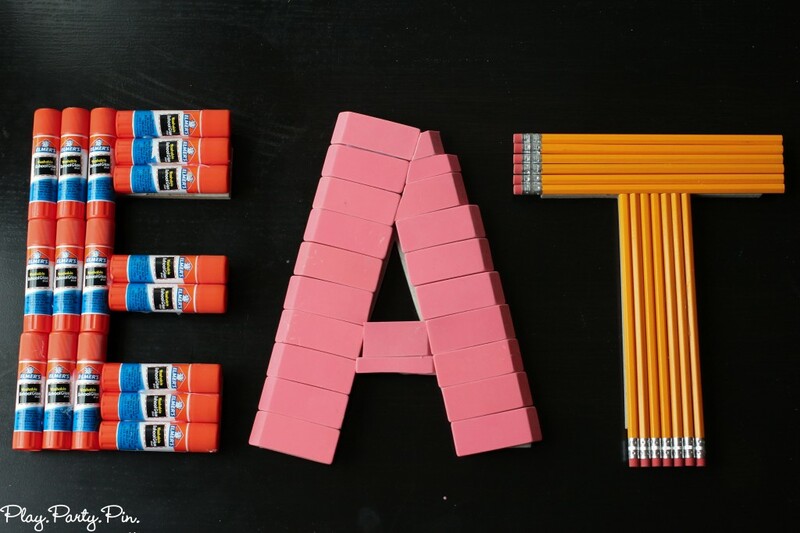 Once you’ve laid out all of your school supplies, start hot gluing each individual item to the letter. And repeat. Make sure as you are gluing that you line each item up together, face labels the same way, and push the items together tightly so you don’t see the letter through the school supplies. 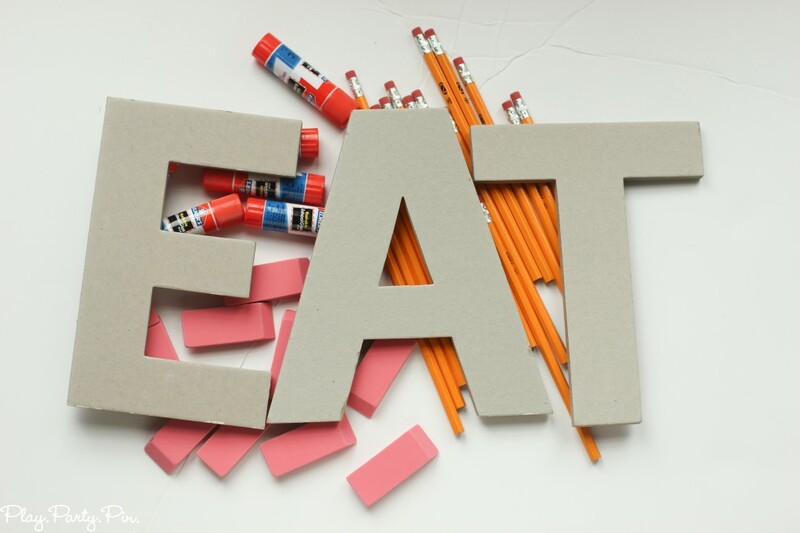 Repeat until you’ve covered each of your letters with a different school supply and you’re done! You can either hang it up on the wall behind your party table like I did or if you have a larger party table, just set it out as part of the table decor. So easy right? If you’re like me and not ready for school to start again, then come celebrate summer with me instead with one of these fun summer ideas – splash and splatter party, summer treat ideas, and outdoor water games!